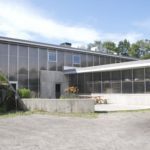 While driving a van of Murray’s folks to Jasper Hill Cellars in Greensboro, Vermont I am keenly aware of how “New York ” we all sound as we gush over the vibrant green mountains. 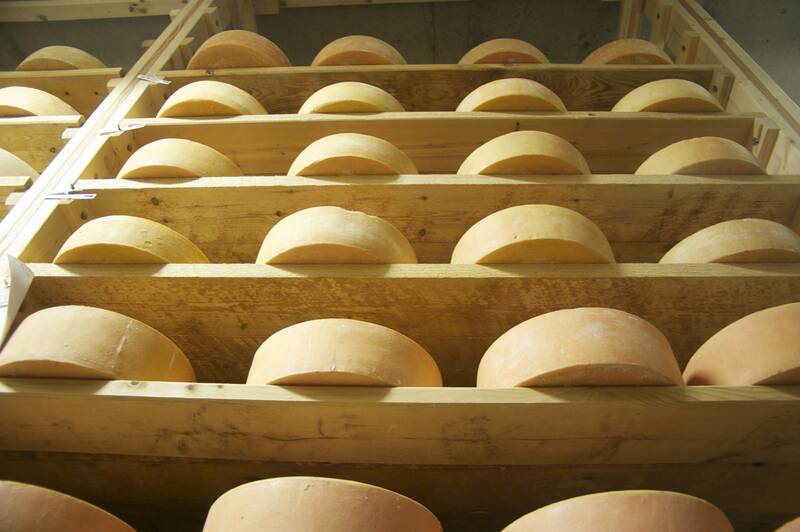 One thing is for sure, we all agree that THIS is where cheese should be made. As we drive by a little boy walking down a country road carrying a fishing pole, we begin to suspect that Vermont is staging postcard moments. This theory gets legs a half hour later when a baby black bear scampers across the road. It is finally confirmed as we pass a happy herd of cows chomping greedily on a field of wildflowers. 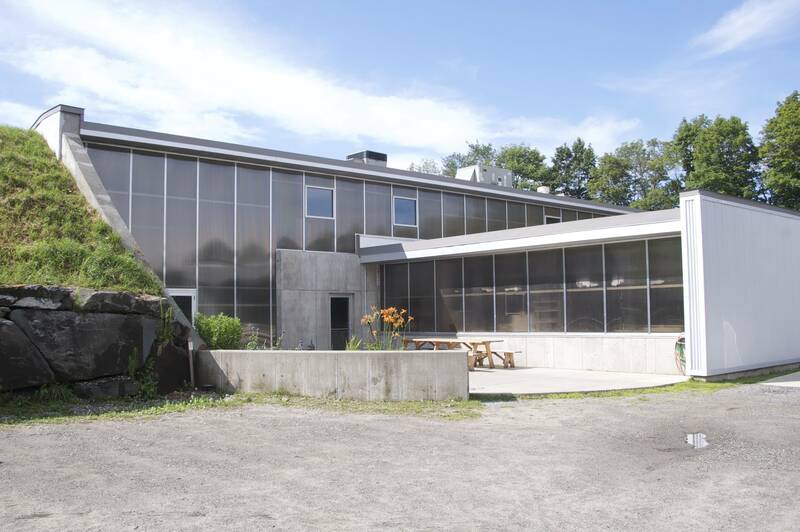 However, our favorite sighting by far is the red barn with a mural of Bayley Hazen Blue cheese posing as the moon as we roll into the gravel driveway of Jasper Hill Farms. Not everyone gets to tour the caves at Jasper Hill, which are not open to the public. As Vince Razionale meets us warmly and asks us to sani-suit up, we chat about how lucky we are to have been given an opportunity to see some of our absolute favorites in their aging environment. Jasper Hill has a stellar reputation for craftsmanship and artistry and picking a favorite is like picking your favorite song. The first stop was the Bloomy cave. These stone caves are magnificently beautiful and have round ceilings to prevent raining. We see newly-formed Moses Sleeper and the dramatic transformation it makes into a cloud-like pillow in only six days. New Harbison wheels are deep cream colored and do not yet have their distinctive white speckled mold growing over its boiled Spruce-bark spine. The Alpha Tolman cave was next. 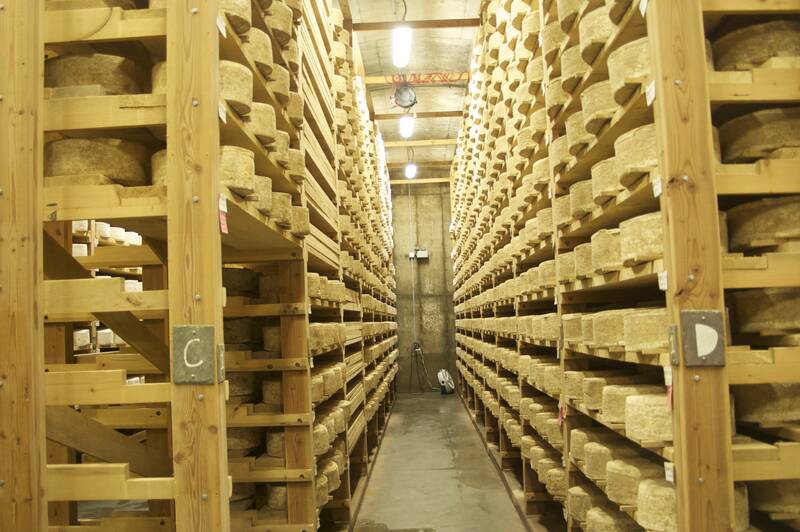 Wheels of this Scharfe-Max-inspired-cheese are in neat rows up to the cave’s ceiling. Vince explains that Bloomy cheeses are a quick study due to their short life-cycle. 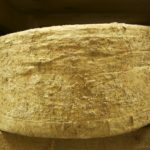 In contrast, firm and larger format cheeses like Alpha Tolman could take years to develop fully. 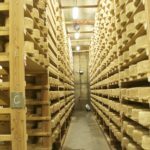 He cores Alpha Tolman wheels, and we all taste this cheese at different ages. Vince confesses that selling “age” is a little gimmicky and that he prefers to focus on the flavor profile. 3. It helps to regulate the correct density and water weight. 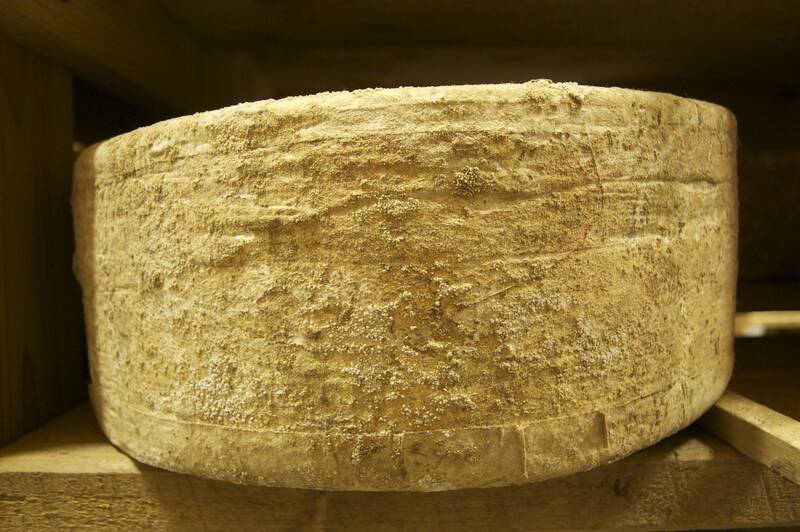 The last stop is the Natural Rind cave where Bayley Hazen Blue is maturing before and after being pierced. It is especially cool to see these blues before their blue veining has developed. However, my favorite part about this cave was seeing that each rack is resting on a bed of small wet stones which helps to keep high humidity and cool temperature. As we make our way back down to the city, freshly cut grass gives way to concrete. The rolling thunder clouds are into roaring subway cars, and the sound of crickets are silenced by honking horns on the dreaded BQE. That being said, whenever the city gets me cranky I need only nibble one of the treasures from the Cellars at Jasper Hill to remember a perfect July day in cheesenerd paradise. 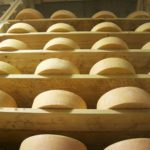 Beautiful pics and great description of Clothbound cheddar. That cheese never disappoints. Next PostNext Mongers, Piglets and Bears, Oh My!